Comparatively, the second podcast that Jose and I produced was much smoother than the first. 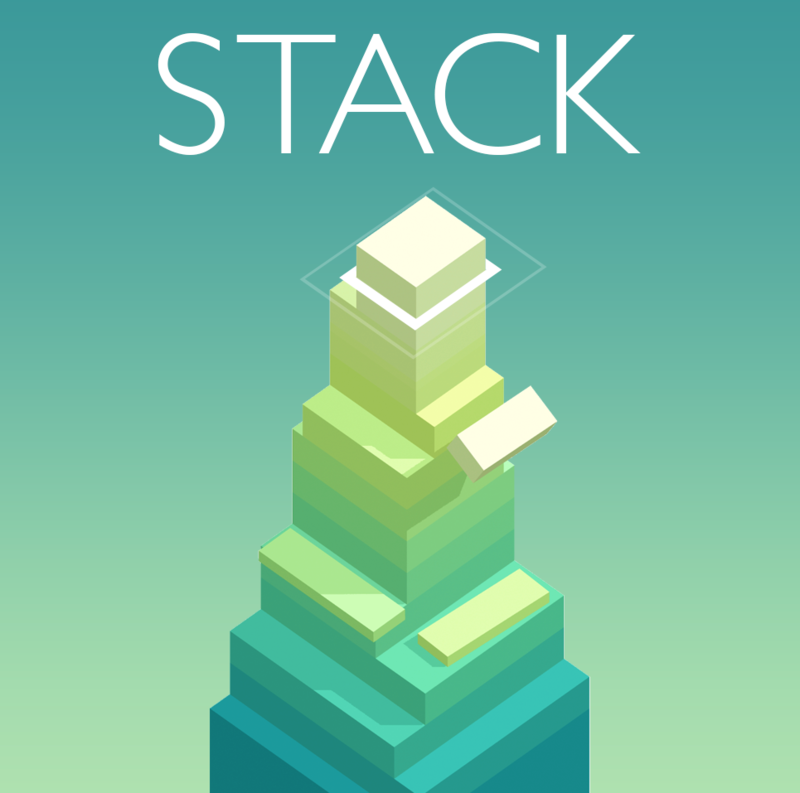 In this podcast, we discussed the societal and analytical impacts of “STACK”, a mobile game. Since we chose to center both podcasts about phone games, we strove to delve into the unique qualities of mobile gaming that is exclusive to that parameters. This podcast felt a lot less scripted than before. In the first production, Jose and I outlined with great meticulous detail the exact outline of our speech. This in turn led to a podcast that more so mirrored the writing processes of a traditional essay. The second podcast was characterized by much more fluidity in our speech. Rhetorical Composition played a key role in developing our analysis of this production because we cross referenced other games. This strategy of analytical comparison led within itself a production rich of unique modalities of perspective and insight. Furthermore, these skills are particularly useful because they encourage holistic approaches to understanding multifaceted concepts and ideas. For our second podcast, Cindy and I were originally thinking about doing a segment on Wii Sports and connecting it with Boost’s chapter on Exercise; however, we were advise to choose another game because a group from the spring semester had the same idea and the ended up producing an unsuccessful podcast. So, after a lot of thought and discussion, Cindy and I decided to talk about 2048. After a successful first podcast, we decided that we would follow the same steps we did last time. 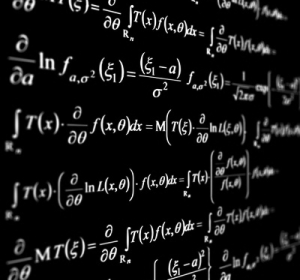 We first gathered up all the information we could find on this game and came up with questions we wanted to discuss such as “are there effective strategies to beat the game?” and “does playing 2048 make you a better mathematician?” On our last podcast, we had a unique introduction that captured the attention of our audience, so this time we thought about what we could include in our podcast to make it entertaining and noteworthy. Since we had all these questions we wanted to discuss, we came up with the idea of incorporating a segment toward the end of our podcast in which we mimicked having a twitter account and audience members posting these questions on there. I may be wrong, but I thought this was better than just having a back and forth conversation that went on for ten minutes; I definitely think this contributed to our success in producing this podcast. After we had all our information and questions, we scripted what we were going to record because this proved to be effective for us the first time. Although producing a podcast may seem extremely different from writing an essay, this process of gathering information and then scripting it is similar to the process I go through when writing essays. I’ve always written outlines before sitting down and actually writing an essay because this way, just like with the podcast, I can make sure I hit all the important points and that I do so in an organized manner. This process connects to the learning outcomes writing as a process and critical thinking and reading resulting in writing because we go through this multi-stepped process which incorporates critical thinking in the planning section of the process. Now that I’ve produced both podcasts, I’ve realized that it has been an enjoyable experience. I’ve never loved having to sit down and write long essays, it has never been easy for me; but, creating these podcasts turned out to be easier because I was doing something I found pleasurable. Aside from this, Cindy and I worked well together which also allowed us to work quickly, efficiently, and made our meetings run smoothly. Creating this podcast also contributed to the learning outcome of collaboration because to be able to work effectively we needed to listen to each other and incorporate both of our ideas in the podcast. Without this, our podcasts would’ve been a disaster because we would’ve ended up with a product that neither of us liked. Thankfully, since the beginning Cindy and I worked well together and we both listened to each of our ideas and this definitely contributed to having two triumphant podcasts. 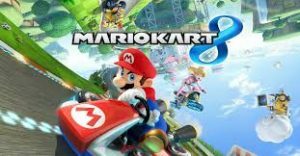 In this Podcast we explore the kitsch aspects of Mario Kart 8, and how that lends itself to being a game with such a wide fanbase. 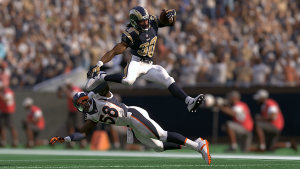 For our first podcast, Ross and I decided to go with Madden Ultimate Team 17 as our game of choice and tried relating the themes in Ian Bogost’s chapter on Habituation to those in Madden. We believed that this game was more than a typical sports game void of any meaning and that is exactly what we aimed to disprove. Before we even began planning the structure of our podcast, we thought it was prudent to read the chapter thoroughly on our own so that we were comfortable with what we were working with. I created a Google document and shared my notes on the chapter with Ross. By cross-examining our notes and seeing which points we both highlighted or did not highlight, Ross and I were able to separate the main ideas from the specific points each of us thought were significant. This initial step was probably the most crucial one in terms of gaining confidence about the material at hand and moving forward to integrate them. I volunteered to take charge of this podcast and Ross agreed to switch roles with me for the next one. I suggested that we go straight into recording just by looking off our notes in order to try and create a less scripted sounding atmosphere, something we originally wanted to execute. This quickly became a problem. Although this plan seemed great in theory, we realized it was in fact harder than we thought and we deemed this method unrealistic. So, we agreed on writing a script together to follow as a guideline and to keep the podcast going in the right direction. Unfortunately, our script once again sounded very scripted and Ross and I had to figure out a solution to overcome this obstacle. What we ended up doing was revising the script in a more colloquial manner, something we would not have done for a formal essay. We hoped that writing like we speak would solve this issue but as a result, our podcast still sounded scripted to a certain point. In light of these events, I came to a conclusion that writing is a process. This learning outcome could not have related any better to our project because we tried a number of different ways to structure this podcast with each effort improving the overall quality of our work. I think our willingness to attempt multiple modes of structuring this podcast really speaks to the learning outcome of collaboration. Ross and I worked tirelessly to ensure both our ideas were included and collaborated when it came to make decisions that would have altered this podcast entirely. This was a great first experience in creating something I have never done before. I hope that our second attempt at making a podcast will be much smoother compared to this rocky journey. Similar to our last Podcast, Graciela and I picked a bright, energetic game, Mario Party. Both of us had a lot of experience playing it, so we figured we’d have a lot of interesting topics to discuss. 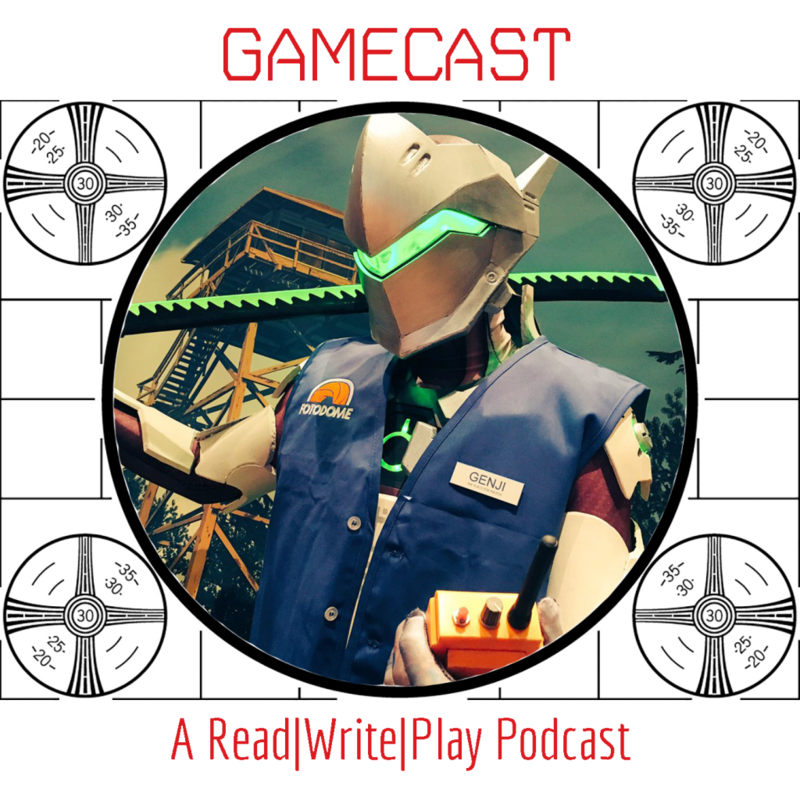 In contrast to our last podcast, we tried to relate some aspects of the game to the outside world and other references past just our experiences. We both contributed to the general outline of what we were going to talk about and we spent time together editing the audio afterwards. We did not experience many obstacles this time around compared to last time because we now had experience and received feedback on we could do to improve for this episode. While we did have difficulties relating this game to a particular Bogost chapter, we eventually led ourselves to picking Relaxation. There were clear differences between games discussed in that chapter and Mario Party, so we decided to highlight the differences and tie it back to the world around us. With this podcast, we wanted to relate more with our audience as we believed our previous podcast dealt a lot with just how we felt playing the game. Engaging the audience through relatable topics was a primary goal of us. We aspired to connect the game beyond Bogost’s Relaxation chapter and explain what some of the game’s concepts could mean and what it says about the world around us. 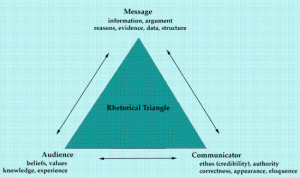 Critical thinking played a big role in determining the context of our podcast. Graciela and I had to connect reality and a game to get the basis of our argument so we could thoroughly analyze the relationship. I definitely think I could improve my own analyzing skills because only collaboration with my partner allowed me to get ideas flowing and engage more with the audience. Through and through I’m proud of this episode and I feel like I’ve learned many new things and others to consider when talking to an audience. When first introduced to this assignment, there were already numerous video games that came in mind to be covered. Narrowing it down to one was definitely a challenge for me and my partner, Graciela. We eventually chose a game we were both familiar with and had tons of fun playing, Super Smash Bro. We chose this game because it was exciting and had a lot of cool features that made it such an exhilarating game every time we played it. Throughout the process of developing the context of the podcast, the script was divided between me and Graciela and different ideas were shared between us and the content was building up. We gained inspiration through previous episodes to include another person within our episode, but rather than interviewing him, we decided to make him apart of the conversation and had him become an extra variable for interest. The overarching concept that we envisioned for this podcast episode was there to be a conversation between two friends, me and Graciela, that shared a love for playing Super Smash Bro. Brawl. We came up with the introduction piece by thinking about how people get really riled up playing the game, so we decided to play the game then agree to rematch, in which it got serious, yet funny with the announcer voice declaring it. We originally planned to have added more content in regards to the us playing the video game, but had to cut it down due to time. Also, with recording, because neither of us have used Audacity before, it took us awhile to work with the system and get the sound how we wanted. Despite the couple of obstacles we faced, I was really pleased with how the podcast turned out, considering this was my first time constructing one. I’ve had experience in mixing audio in other software and recording using a mic, so I think those skills became very useful for me throughout this process. Through this podcast I definitely have taken it account Digital Citizechip and how I can use online spaces to express different variations of literature. This podcast episode made me realize the public will listen to what I had to say and possibly use it as a resource of knowledge whereas before I used others’ sources to gain input, so it being the other way around is really a learning opportunity I rarely get to experience. I feel as if this podcast assignment definitely got me exposed to new works outside of standard literature and opened my eyes to what I would need to improve on for future episodes, such as the organization of the conversation and gauging the audience more through more intriguing dialogue. In conclusion, I really enjoyed this experience and have learned a lot of new, meaningful things that I could put to use outside class. One certainly doesn’t expect to make a podcast for English class, but when it happens – it’s great! Anika and I teamed up to create a podcast about the video game Candy Crush and how it relates to the terms “Branding” and “Habituation” used in Ian Bogost’s book How To Do Things With Video Games. The experience was actually quite rewarding and it was quite the rewarding experience. I feel talking about a certain topic and being able to express your ideas as soon as you think of them makes the feeling more spontaneous and you can share your experiences first hand, without tampering with the words and risking changing the meaning, unlike when writing a piece and editing it multiple times. Although editing material can prove to be beneficial, you might lose track of the original point you were trying to get across after editing it at a different time or if you have a different mindset. Our primary goal was to be able to relate to our audience and be able to establish a connection between Candy Crush and everyday life. 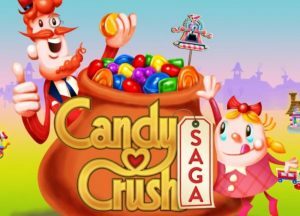 It was also to be able to analyze the game, compare it to literature and make a successful argument describing how Candy Crush has made a majority of people addicted to the game even though it’s algorithm is very simple. We included personal anecdotes so the arguments we described were more relatable and believable. I feel like this is a valuable lesson I learnt from the podcast. These are also useful in personalizing the writing. It makes you seem more human, rather than someone just writing blatantly about facts and figures that were researched. That is something I should incorporate in my writing more often. This assignment definitely helped me, personally, learn about digital citizenship. While posting content anywhere online it is important to take on a specific role and keep in mind the connection you are trying to establish as well as the message you are trying to get across. With a podcast perspective in mind, it was quite interesting to write an audio script for an audience in mind that are listening specifically through the internet. I used to host radio shows for 3 years back in Kathmandu where I had to write scripts and select songs to play on air. Creating a podcast, for this class specifically, was definitely different because of the analysis part of the task. It is necessary to stay on topic and not stray from the thesis of the analysis all the while keeping in mind that we maintain a role as a creator online. Collaboration is again definitely another learning outcome that this podcast helped me, or us, achieve. We spent time talking to one another, what we wanted to include in the podcast and how we would divide each task. Although it was a little difficult managing time and picking out time to work together and sort things out, in the end it all worked out. We managed to get everything done as planned and I feel Anika and I worked very well as a team. Overall, I’d love to do this again, and I’m looking forward to working on the next podcast! Over the summer I was obsessed with the game called Don’t Starve. This survival game took over my vacation time as I explored it more and more. Moreover, I fell in love with the minimal yet meaningful plot line of the game. Thus this game instantly popped up in my mind when we had to choose a game to analyze. After briefly explaining the structure and the main idea of the game, my partner, Christine, agreed to settle down with Don’t Starve. Thus we began our process of creating the very first podcast of our own. Before we could do anything we needed to make sure that we were both on the same page. Thus Christine played and watched some of the walk throughs to get the idea of this game. Then we brainstormed all the tasks that needed to be complete for this assignment and created a checklist. Some of them were very practical, such as renting mikes from the library or picking a person who we will interview in the podcast. Others were more of a content based: which term of Bogost’s we will analyze and composing an outline. We tried to do all of the tasks together, collaborating either face to face or working through google docs. For example, when we were writing our script we met and wrote all of it together. We realized that the time was our biggest constraint as the deadline was fast approaching. As well as that midterms were in the full swing. Thus we decided to be as swift as possible so that we will have some time before it was due for any last minute changes. We were very successful with that. I personally felt that having checklists and adhering to the schedule helped a lot. As well as that we communicated a lot and made sure that the work is equally shared. Although we were friends before we started working on this project, I feel that we got to know each other much better. Besides time I felt that the technological aspect of this project would be hard as well. I felt very comfortable in discussing the game, talking about the Bogost’s term and drafting the script. However, when it came down to recording it, I felt uneasy. Although I downloaded Audacity and read instructions upon how to use it, I still felt that I am stepping out of my comfort zone of a sort. But in the end it was not as scary as I thought it would be. We managed to record it and even have music of the game in the background. What helped us was that the availability of Professor Morgen as we could ask a lot of questions directly as well as refer to his websites for the basic FAQs. For the future I would use the same strategy. Being the lead producer does not mean that that person has to do more work. Sharing as much work as possible helps a lot, because that way you collaborate more and realize that each person has different perspectives. I feel that this makes a big difference when it comes to insights of analyzing the game. As well as that working ahead of time is crucial for this project. What I would like to do in the future though is experiment with the technological aspect. Maybe add more different snippets of music or add something new entirely. However, that is for the future, and for now you can check out the freshly completed podcast about Don’t Starve here. If there are suggestions for revision or objections, leave a comment on this post and let me know.